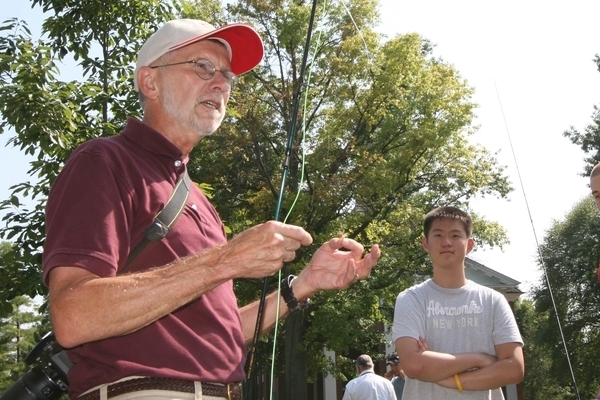 Professor of Political Science David Hadley welcomed students to his freshman tutorial, "Flyfishing: The Liberal Art." For most of the students Saturday's flycasting lesson on the Wabash mall and in Little Giant Stadium was their first experience with flyfishing. The group leaves for the trout streams of Montana Sunday morning for a weeklong immersion in the sport, art, and literature of flyfishing in the American West.